Heating is the second leading cause of death and injuries due to fires. During the cold winter months this risk is raised because of increased heater use. Avoid placing things too close to heaters that are potentially flammable. Never leave a heater on when the business is unattended. Space heaters that automatically shut off are a good investment to prevent a potentially dangerous scenario. Though they are fun and bring cheer and warmth to a room, be wary of potential fire hazards that some decorations may bring. Keep decorations away from doors and windows, avoid using nails to hang up any chords (try clips or tape instead) which can prevent frayed wires, unplug any lights or other electrical decorations when they will be unattended. Lastly, education can be a powerful first defense against fires. If you see anything potentially hazardous or even questionable, bring it up. Educate your co-workers on the dangers of frayed wires or unattended heaters and lights. The more educated and intentional people are about preventing fires, the more help you can have with fire prevention. Calvin Coolidge, our country’s 30th President, was once quoted as saying, “Those who trust to chance must abide by the results of chance.” Undoubtedly, his belief in this concept was the driving force in prompting President Coolidge to sign a proclamation in 1925 that nationally observed Fire Prevention Week. In 2000, the National Fire Prevention Protection Association (NFPA) took the matter a step further by declaring the month of October as National Fire Prevention month. Every October, the NFPA partners with entities such as schools and public utilities to educate the public on fire safety and prevention. As part of National Fire Prevention Month, we are happy to provide you with these 10 ways to help ensure your family stays safer and warmer this winter. __ Make sure fire extinguishers are visible and in a designated area. __ All family members have been made aware of where the fire extinguishers are located. Even though we may have sufficient fire extinguishers in the home to cover the entire home living and storage spaces, we still need to make sure everyone, ___ or older, is well aware how to operate an extinguisher. 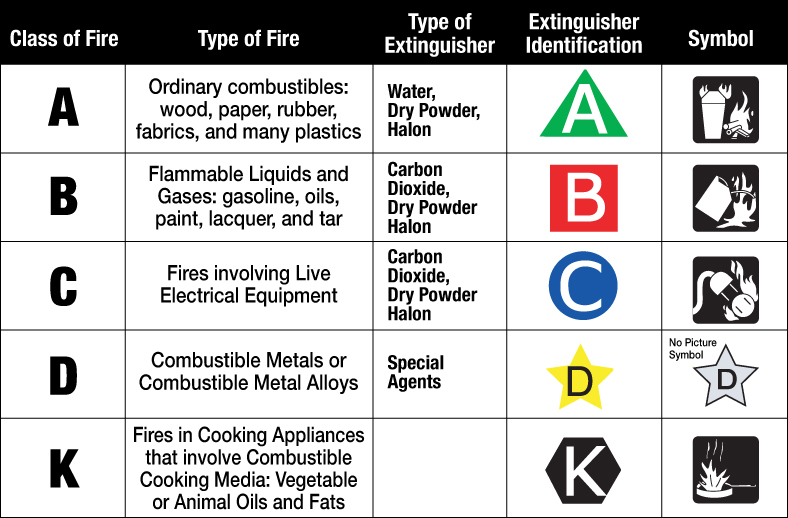 A popular method for using a fire extinguisher is the Pull, Aim, Squeeze, and Sweep or P.A.S.S method. Here is a link to the OSHA website that details this method. __ Train your family members how to hold and actuate the fire extinguisher. __ Educate your family members about the different types of fires and the importance of using the proper extinguisher for the type of fire encountered. __Perform annual inspections on your fire extinguishers to ensure they are free of physical damage, corrosion, and clogged nozzles. Part of every fire prevention plan should include installation and maintenance of smoke alarms and carbon dioxide detectors. Here are links to the Division of State Fire Marshal’s office that illustrate proper installation. Smoke alarms. Carbon monoxide detector. __ Install smoke detectors and carbon monoxide detectors are on every level of your home and in living areas, including each bedroom. __ Change the batteries twice per year (ie. At the time change to and from daylight savings time). __ Replace detectors that are 10 years old and older (Or, when the unit chirps, which is low-battery signal). __ Vacuum and clean detectors regularly. While many factors are involved in how often a chimney should be inspected, it is a good idea to have a professional inspection done annually. An inspection will help determine whether or not your chimney needs cleaned. Regular cleaning helps prevent buildup of creosote, which is a combustible by-product of charred wood. While we don’t endorse any particular company, we have had good success and satisfaction with Coalway. They have locations in our area at Apple Creek and Charm, Ohio. The cornerstone of every fire prevention plan is a fire escape plan. It is important to have a plan in place and make sure that all family members understand each part of the plan. If you have not created your fire escape plan, here is a link from the Division of State Fire Marshal’s office to help you develop your fire escape plan. __ Make every family member aware of how the fire escape plan is performed and reinforced with periodic fire drills. __ Make sure that furniture placement will not impede your designated exit strategy. __ Store the emergency supply kit in an easily accessible location in the event of a fire. To say that many things have changed since the President Coolidge was Commander in Chief of this great nation would be an understatement. One thing, however, that has not changed since 1925, is the importance of fire prevention. Following these tips will help ensure your family stays safe and warm this winter. 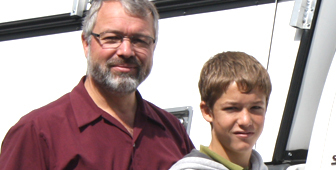 We know you would agree that your family’s safety is too important to leave to chance. Determine the class and type of fire first. Oxidizers, such as those used for treating swimming pools, have specific requirements for storage and fire protection. Always review the MSDS (Manufacturer’s Safety Data Sheet) for the products being used for fire protection measures and incompatible materials before recommending fire protection. A.5.5.7.2 A dry chemical fire extinguisher containing ammonium compounds should not be used on oxidizers that contain chlorine. The reaction between the oxidizer and the ammonium salts can produce the explosive compound nitrogen trichloride (NCl3). It is apparent from the above excerpts that the “agent of choice” for fighting fires involving oxidizers is water. This is certainly a perfect application for the water pressure or water mist extinguishers. Remember that choosing the wrong type of extinguishing agent could be disastrous. • They increase the burning rate of combustible material. • They may cause spontaneous ignition of combustible materials. • They may decompose and may liberate hazardous gases. • They may undergo self-sustained decomposition, which may result in an explosion. We strongly suggest that you and your customers that use, store or handle oxidizers review NFPA 430–Code for the Storage of Liquid and Solid Oxidizers. In particular, paragraphs 4.11.6 through 4.11.6.3 give recommendations and warnings regarding both the appropriate and inappropriate types of fire extinguishers to be used. TT05 Source: Amerex Tech Tips#5. It’s hot, it’s dry, and it’s summer. This weather creates the perfect opportunity for camping adventures, fishing trips, and…the daily yard maintenance. Although summer brings some of the greatest opportunities for outdoor fun, it brings with it the responsibility of yard care and the maintenance of anything that grows on your property. This brings us to our dilemma: what is the best method for taking care of the brush, leaves, and other wastes that come from our own back yards? Is burning everything an option? Is it the best option? How do I ensure that I am doing it safely when the area is dry and potentially flammable? These are all questions that we need to answer before we light the first match. Is Burning The Best Option? Although this can be debated, there are some general guidelines that will help you make this decision. The first question you have to answer is: “can I recycle this?” If so, you will want to do this instead of burning to ensure the safety of the environment. The next question to answer is: “does this material burn easily?” This is an easy answer for some things, such as pop cans and other types of metal and aluminum, but what about plastics and other man-made materials? If you are unsure, do the research before deciding to test it. Trial and error is not a good strategy, because this is how people get hurt and pollution levels rise. What Are The Ohio Regulations? 1. Garbage burning is not allowed. The definition of “garbage” is: “any wastes created in the process of handling, preparing, cooking or consuming food.” Basically anything that will not burn well would fit into this category: food waste, foils, certain plastics, etc. 2. Burning “residential waste” is allowed…well sort of at least. Everything included in this category is only permissible outside of city limits. (We will discuss what you are allowed to burn within city limits below.) Items in this category include: Plant matter such as tree trimmings, stumps, brush, weeds, leaves, grass, shrubbery and crop residues. Also wastes such as wood or paper products that are generated by one-, two-, or three-family residences. A few other caveats to take into consideration are: the fire must be more than 1,000 feet from neighbor’s inhabited building. Also, you must request permission from Ohio EPA if pile is greater than 10 ft. x 10 ft. x 10 ft. It may take two weeks to obtain the permit. What IS Allowed Within City Limits? There are still a lot of options for those who live within city limits, although you will want to be very careful whenever you do decide to burn anything on your property. The rules below also apply to those living outside of city limits. 1. Campfires and cookouts are allowed, but they cannot exceed a wood stack larger than 2 ft. high x 3 ft. wide. You must also use clean, seasoned firewood or equivalent. 2. You may also choose to burn your agricultural waste. This includes: tree trimmings, stumps, brush, weeds, leaves, grass, shrubbery and material from crop or livestock production, fence posts and scrap lumber. It does not include: buildings, land clearing waste, dead animals or animal waste. 3. Occupational fires are allowed both within and outside of city limits. Occupational fires are generally used by those who work outside in a cold climate and use these fires to keep them warm. Make sure that you use a 55-gallon drum and seasoned firewood, especially when close to other houses or buildings. This will ensure that you keep the pollution down and ensure that the fire is well contained. If you have further questions that do not fit into any of these categories, you can check this resource from EPA (Environmental Protection Agency) for further answers. You can also contact the EPA by calling them at this number: (614) 644-2270. Now that you know what you are allowed to burn depending on where you live, we need to establish some fire safety tips to keep in mind as you are doing it. 1. Keep the fire small. If you have a lot to burn, then add small amounts to the fire instead of creating a huge pile from the start. The greater the size of the fire, the less control you will have and the greater the potential for something to go wrong. 2. Keep the fire at least 15 feet away from anything that could catch on fire. This includes things like trees, dry grasses, and buildings. It goes without saying that you will want to create zero opportunity for the fire to spread. 3. Create a barrier for the fire to stay within. Lining the fire pit with rocks, a 55-gallon drum, or a row of cement blocks are all great ways to accomplish this. 4. Do not start the fire with gasoline. We all know that gas is very flammable, but it is also extremely dangerous. If you are lacking in the Boy Scout skills, the best option is to get a starter log. This will ignite easily and stay lit so that your other logs will have time to catch fire as well. 6. Attend the fire at all times. This one seems obvious, but needs to be said. The majority of fires that have gotten out of control were not being watched close enough when it happened. 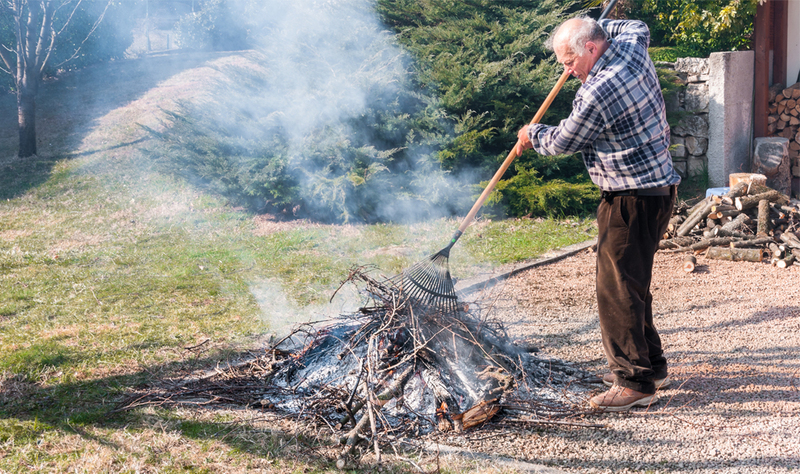 The number one thing to take from this article is this one rule: be cautious and safe when burning anything on your property. Take the time to think through what the potential dangers of starting a fire in your backyard will cause. This alone will help you decide what you will need to keep the fire controlled at all times and ensure that you are operating within the boundaries of the EPA in Ohio. For security and safety purposes fire extinguishers are seen in nearly every building we enter, especially in places of business or manufacturing. The key is to have an understanding of how to operate an extinguisher should the need arise. Q: Do I have enough extinguishers? A: There are different rules that apply in protecting various hazards. For Class A hazards, you need a minimum of 75 feet travel distance to the closest extinguisher, and a minimum of 50 feet travel distance for most Class B hazards. See here for details on what is needed in Business and Home applications. Q: What are these classes of hazards? A: Class A hazards are fires that are involving paper, wood, trash or other ordinary combustible materials that act as fuel for the fire. Class B hazards, refer to fires that involve combustible or flammable liquids. Q: Is it mandatory to train employees on the use of extinguishers? A: According to state and national codes, when portable extinguishers are accessible to your employees in the work environment, it is mandatory that you also provide knowledge or a training program to familiarize them with the proper use of the equipment at hand. To do this, you can get in touch with us at Holmes Fire and Safety or your local fire department to help you give your employees the best training in the use of fire extinguishers. Q: How often should I get the extinguishers inspected? A: It is a requirement to inspect all your extinguishers at least once every 30 days. However, in the event that circumstances dictate otherwise, you are well advised to inspect more frequently than this. Maintenance by a state certified individual must also be performed on the extinguishers, at no more than one year intervals. Holmes Fire and Safety offers monthly and annual extinguisher inspection services. Please contact us for more info.